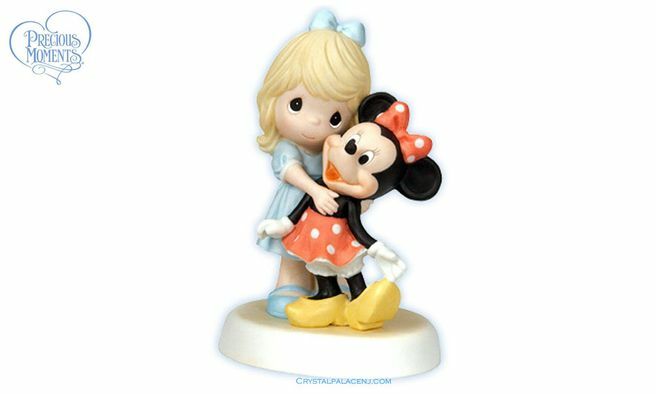 Home > PRECIOUS MOMENTS > (SOLD OUT)Disney Girl With Minnie Figurine "You Are A Classic!" (SOLD OUT)Disney Girl With Minnie Figurine "You Are A Classic!" Minnie Mouse has been delighting imaginations since the 1920s. This Minnie doll receives a snuggly hug from an admirer, clearly showing that "classic" is always in style! Bisque porcelain figurine. Disney Showcase Collection. Item#: 109008 - Height: 6.39200"